The image that most people have of private investigators has been garnered usually from watching old 'B' movies of the forties, fifties and sixties. The raincoat and the trilby, the inevitable cigarette balanced on the corner of the mouth, were all the trademarks. However, in real life, the profession of private investigator is nothing like that. Not saying that there weren't characters like that then, and that there are still a few like that now. But they are the tip of the iceberg. The majority of private investigators active today is seasoned professionals, who look, sound and talks the same as everybody else. Private investigators have undergone extensive training and have gained experience either in the police forces of one of the federal agencies. Not only that, they are normally members of the private investigators association of their state. Some of them may even be members of the private investigators association of the United States. There may even be a representative of in the World Association of Private Investigators which is very active. These associations act as a media for exchange of information, both for news updates on a state, national and international level. All of these associations maintain web sites, and updates on all the latest trends, technology and relevant information, such as new legislation, jobs, equipment can be exchanged. Until fairly recently there were no formal education requirements to become a private investigator. There were a fairly large percentage that held degrees, mostly in law, and some in accountancy. In recent years many universities and colleges have begun to organize courses in criminology and criminal investigation. Mandatory training programs for private investigators are becoming fairly standard practice throughout the World. Many countries and states require some fairly exacting standards to be met before issuing a licence. They require that candidates have to undergo some form of study on one of the aspects of crime prevention as well as three years of practical experience in the field. To emphasize the change of attitudes towards the private investigation profession, the majority of the states in the U.S. require that private investigators now be licensed. Till now there is no standard criteria been set as to the level of knowledge required before a licence can be granted and no standard entrance examination. However, the large bulk of the states do exercise fairly stringent conditions of entry in order to gain a licence. Private investigators have to operate their business under a rigid set of regulations. Failure to do so may result in their license being revoked. Once the private investigator has attained their licence, they will obviously be a much more attractive proposition to potential employees. Many private investigators, once they have completed their course, may decide to specialize in a specific aspect of the profession. To cope with the increased influence that computers and the internet are having in daily life, both for the individual as well as in business, there are now a sprinkling of courses available in the highly specialist field of computer forensics. Some may decide to move into the highly specialist and potentially lucrative field of corporate investigation, to do well in this field, investigators should hold a master's degree in business administration, law or be certified public accountants. Once accepted the new breed of corporate investigators are usually snapped up by large corporations. 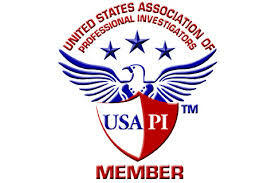 To help keep their members on their toes and up to date with all the latest legislation, most of the state associations and especially the United States Association of Private Investigators (USAPI) regularly run courses in business, management, and finance-related topics. Whatever the speciality or location, most private investigators are now licensed and belong to a private investigators association.